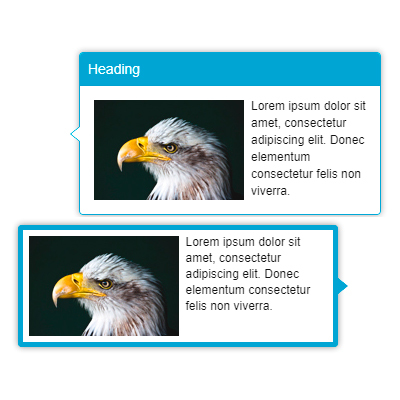 Intuitive tooltip, popover and image hotspots creator jQuery plugin with 12 Positions, Image maps, Hotspots, HTML content templates, Menu templates, AJAX content loading, Flexible & Customizable color preset skins, videos and much more. Compatible with major browsers like IE, Chrome, FireFox and Safari. Adaptive and responsive that supports different screen resolutions & sizes. Developed using the advantages and power of HTML5, CSS3 and jQuery. 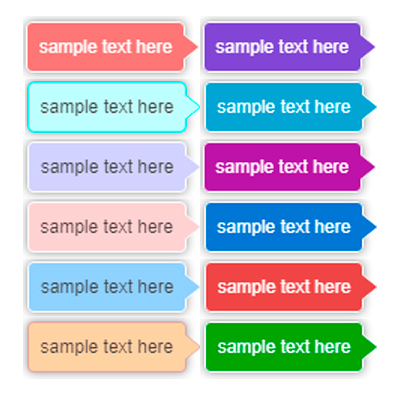 Derived from basic tooltip plugin of twitter Bootstrap CSS framework. 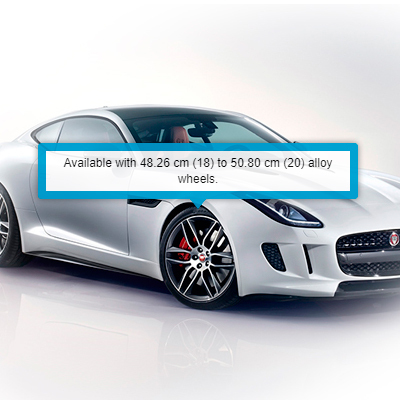 data-placement HTML5 attribute enables to set the position of tooltip around the target element. customizable color preset skins that can be used easliy with any kind of color scheme you have. 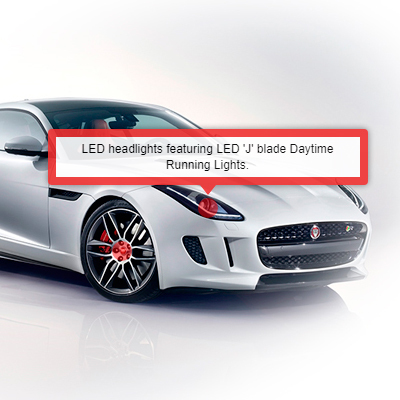 includes inbuilt templates for creating list items, content with images and headings. 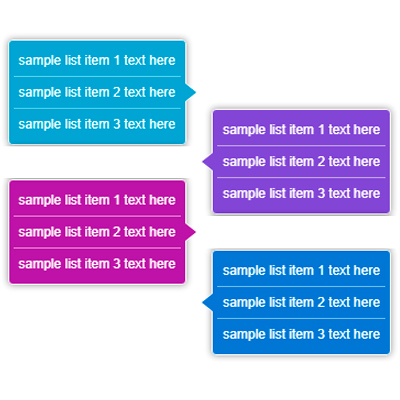 includes menu templates for creating context menu with customizable look and feel. easy to use with multiple overlay image hotspots on different areas of single image. 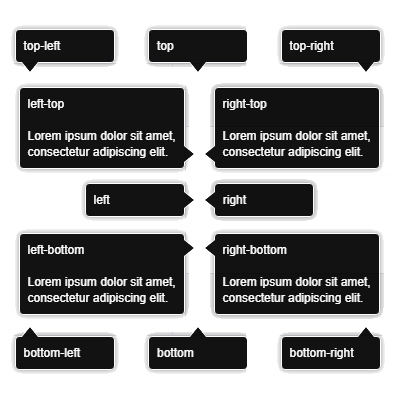 works for all types of HTML image map areas with different positions around the target areas. 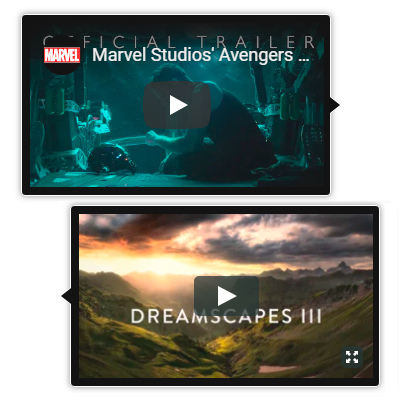 supports responsive video embedding in tooltip from resources like youtube and vimeo. 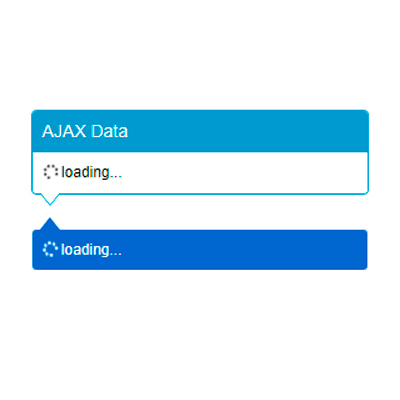 supports the dynamic AJAX content loading in tooltip content along with caching feature. 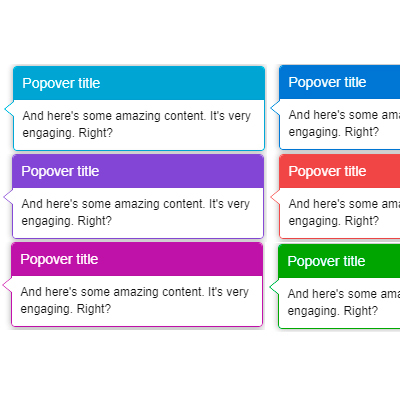 it enables to display the tooltips in popover way having HTML headings and content. 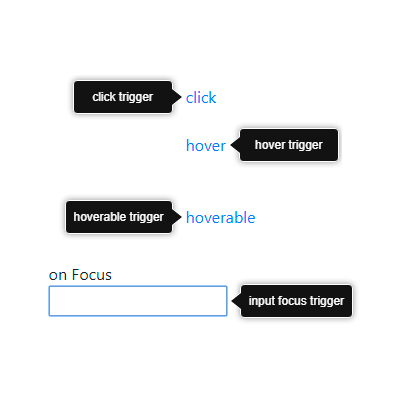 incluces inbuilt events which trigger at different stages while tooltip appears or disappears. © 2019 gigagit.com, All rights reserved.